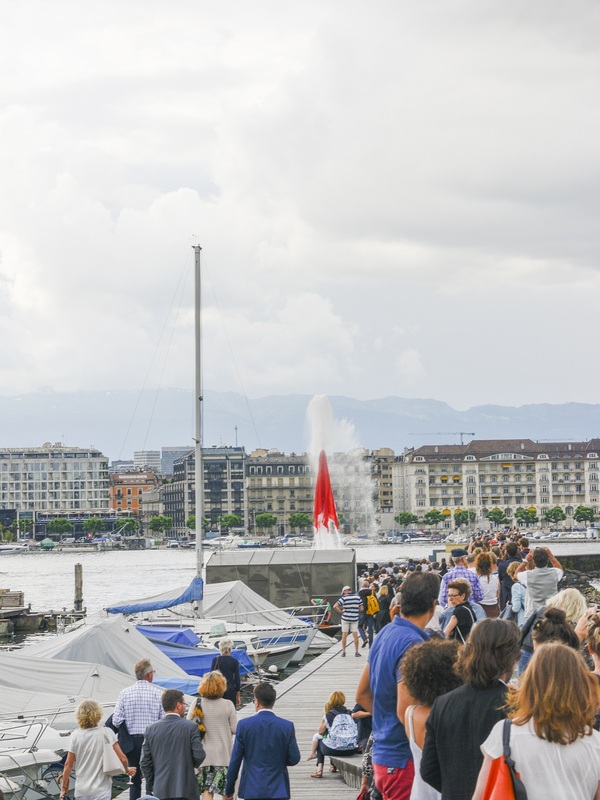 This Swiss artist has conceived this project for Geneva: it consists of a temporary action using the power of the famous Genevan water jet to propel a tarpaulin into the air. 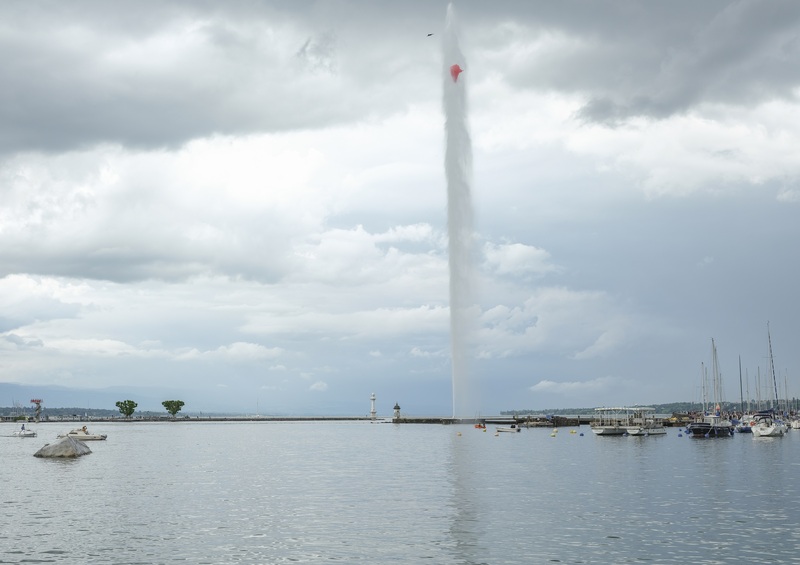 As always with Signer, the sculpture is ephemeral, though documented in film and photographs. 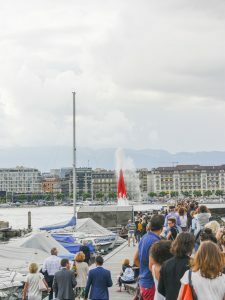 The production of this performance benefited from the support of the City and State of Geneva services and was organized by Manuella Denogent.